Simufact.welding is a particularly high performance Finite-Element-based software with state-of-the-art solver technology, with which the elastic-plastic material behavior can be modeled. As one of the most important tasks, the software succeeds in realistically predicting the distortions and residual stresses that occur during welding, while considering phase transformations and controlling these in the component. Simufact.welding considers microstructural properties in the heat-affected zone; its form allows conclusions about the properties of the weld seam, in particular its strength. The user gains valuable clues to identify welding defects such as hot cracks in the simulation to avoid them in practice. The software assists in finding the optimal clamping devices for the welding process and delivers facts to determine the best welding sequence. Simufact.welding predicts the final contour of the component and helps to produce parts in series with precise tolerance. With Thermal Cycle Simufact has integrated another scalable calculation method in Simufact.welding, which simplifies the calculation of long welds and reduces the simulation time by a factor of 2 to 5. Were standard methods of simplification usually rely on estimates, Thermal Cycle has a different approach: it is based on calculations by specifying the temperature cycle for the entire weld section. Essential Advantage for the users: they have the possibility of scaling the degree of simplification directly on the user interface and herby adjusting the result accuracy to their needs. Thermal Cycle supplements the Simufact.welding standard method of transient calculation, in which the energy per unit lenghtis input, and which is characterized by the utmost calculation precision and correspondingly longer calculation times. In practice this additional method offers new possibilities of shorting the development time of welding processes: the user can run a greater number of possible process settings in the simplified Thermal Cyle mode and then run a detailed transient calculation of a narrowed assortment. Thermal Cycle assists in reducing the number of plausible versions quicker and limits the areas of relevant process settings. As an optional module add-on Simufact now offers Simufact.welding with an integrated meshing tool, which is Altair?'based. The mesher is a streamlined and low price version of the well-known SimLab-Mesher tailored to the requirements of welding simulation. SimLab automatizes the modeling of FE-meshes reducing the time needed to interpret CAD models. Thereby Simufact opens up a new possibility to the user, with which the complex geometries of hexa-, penta, and tetrahedrons can be meshed on CAD basis. In Simufact.welding 4 simulation videos can be generated increment-based or in real time. The user can define by section, at which speed certain processes are shown in the video; he or she can, for example, show processes of long-duration such as the component cooling in time lapse. In the result, the user can create a vividly cinematic illustration of the welding process, in which all relevant details are shown in one video by varying the illustration speed and angle. With a streamlined adjustment of database material data to the real material condition -which includes the adjusting of the flow stress and the values of hardness and tensile strength in dependency of t8/5-time - Simufact.welding 4 promises greater calculation precision. The flow stress in particular is sensitive for the introduction of internal stresses and therefore also for distortion and springback effects. The new software version now enables a post-processing analysis with the help of user-defined coordinate systems. Newly available is the analysis parameter area change an indicator for buckles. The user can also generate individual post-processing values by mathematical cross-linking of existing results, e.g. to define individual fail criteria. Practical innovations have also been made in the data management: Through a rearrangement of data management, larger models with up to one to two terabyte of data can now be visualized. For the management of simulation results, Simufact has developed a tool, with which the result files can be thinned out. It simplifies the disk-space efficient archiving. Simufact Engineering GmbH is a global operating software and service company for process simulation in the manufacturing industry. For than 15 years, the Hamburg based company has been developing and supporting simulation solutions for the design and optimization of manufacturing techniques in metal processing and is one of the leading companies in this area. Based on leading standard technologies, Simufact develops and globally markets industry solutions for the forming and welding technology and heat treatment. The company is also specialized in offering individual and innovative solutions for manufacturing processes to its customers, using state-of-the-art CAE tools. Additional services like consulting, training and technical support complete Simufact's performance. 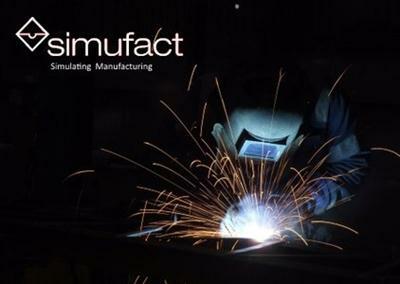 Simufact customers come from all areas of manufacturing technology: forging, cold massive forming, rolling, sheet metal forming, mechanical joining, heat treatment, and welding. In the headquarters in Hamburg, in the German offices Marburg, Baunatal, and Balve, as well as in the company's U.S. subsidiary Simufact-Americas in Plymouth, Michigan, Simufact employs than 50 people.